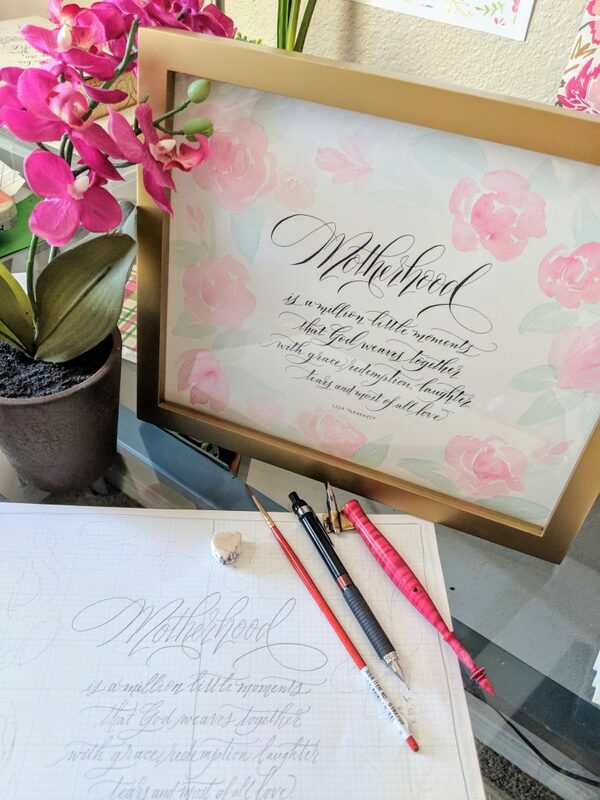 When I read this quote, I knew I wanted to create a pretty piece to remember it. 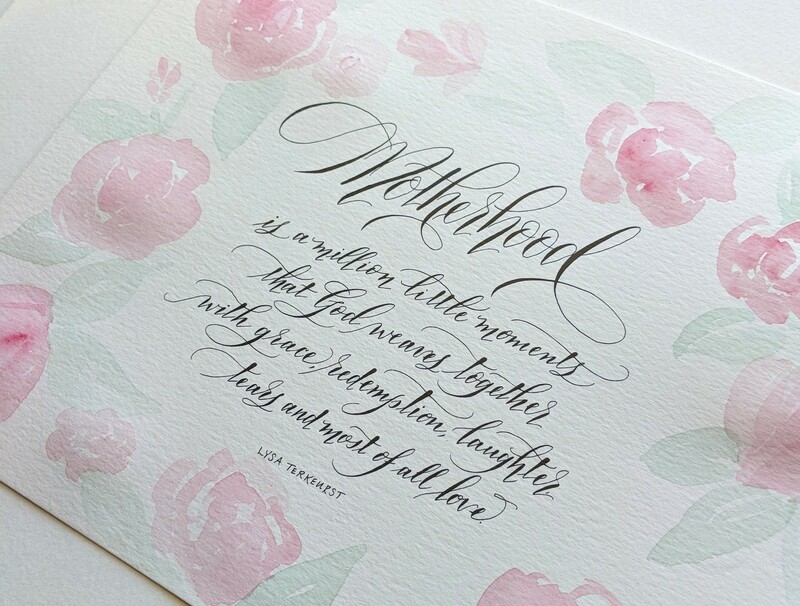 Calligraphy and watercolor painting. Soft touches of color. Such deep words of encouragement for mothers. This piece is available in my Etsy shop. 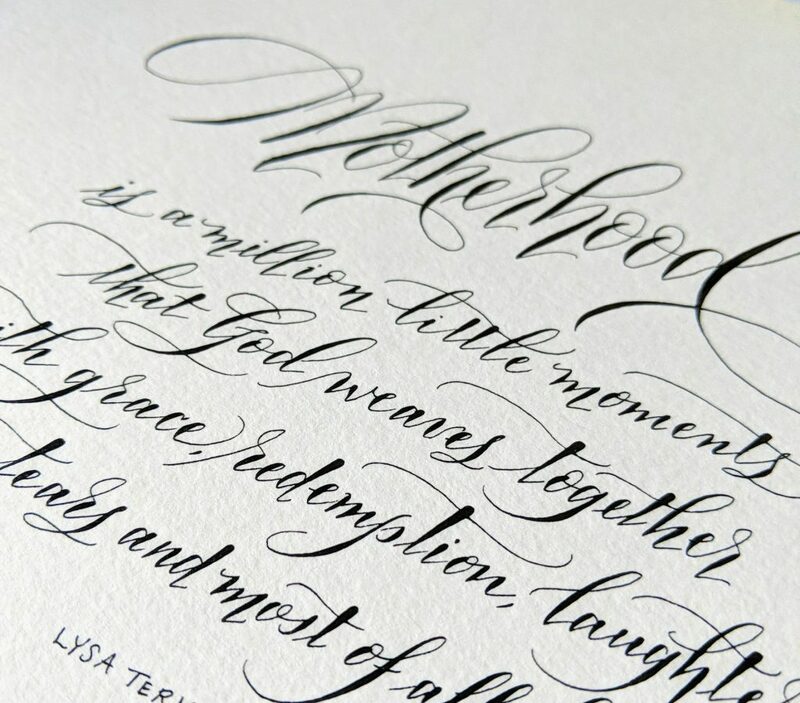 This entry was posted in Calligraphy and tagged Calligraphy, Motherhood, Watercolor. Bookmark the permalink.